Forget glitters, red carpets and black ties. At Kustendorf film and music festival you’d better wear boots and sweaters. For the 12th time, in Mokra Gora, the event gathers future film makers and already acclaimed authors. Partly financed by the Serbian government, the Festival created by director Emir Kusturica aims to promote independent cinema. 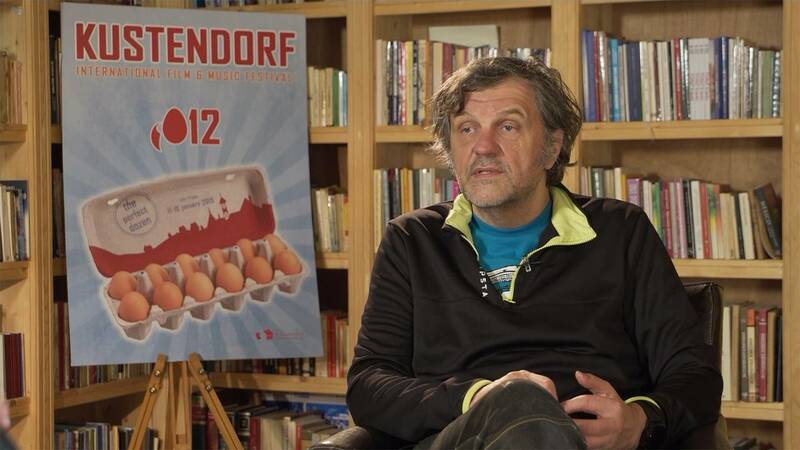 Emir Kusturica: “We are in the middle of a crossword in which technology brings back easy ways to make many more movies that we did in the past but we miss the movements and the ideologies that we had in the ’70 and I think that this is a special place because this is a kind of asylum for aestetichs and ethics and all the problems that concerns the humanity ”. The and anticapitalist soul of the festival is revealed by the films running in the competition. It is the case of “All inclusive”, from Corina Schwingruber. The movie, that is set on a ship cruise, denounces the alienation of modern society, obsessed with mass entertainment. Corina Schwingruber: “I really hope that people start thinking how we spend our holidays, how do we actually spend our all lives and everyday life in consuming and not thinking. It is just this world of entertainment….and also everybody is posting and taking pictures all the time, so it is really this kind of artificial life style we are living in”. The film “Being More Like Bagsy”, brings the attention on the identification of individuals with their employment. The story is about a jobless woman that receives an opportunity from the waste disposal agency to feel useful again for the society. “We are entering in a period where we might see that quite a few people are becoming economically reductant, that they don’t have any function in the economy anymore. I think that if you don’t start trying to address their issues that are important for them, you will find very difficult to navigate many of the very important challenges and questions that are challenging s today”. “Yes, and yet I do believe that I am not in censorship. Some times people say something and they are not allowed to say what they want and that’s wrong too. I don’t really respect bully people that use their power in an unethical way”.